I recently moved to WSU for a post-doctorate position in the McCloy group, where I investigate the structural effects of REE-doped UO2 on dissolution. I am an Upper Peninsula of Michigan native (we say “yooper”) and grew up in a small mining town called Ishpeming. In 2012, I obtained a B.Sc. in Chemistry from Michigan Technological University, and I am a recent (2017) Ph.D. recipient from the University of Notre Dame, where I focused on the mineralogy and crystal chemistry of uranium and neptunium. 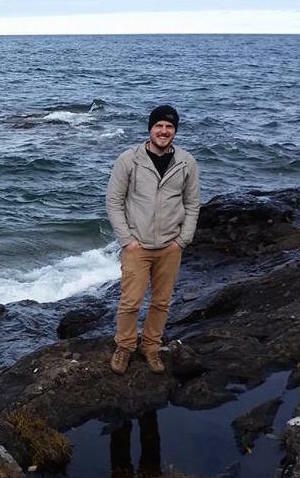 My research interests include structure-property relationships of actinide materials, using spectroscopic, X-ray diffraction, and neutron scattering techniques to study them at various length scales. During my work as a mineralogist I have discovered and named 12 new minerals, many of which contain uranium. Outside of work I enjoy being outdoors, snowboarding, astronomy, mineral collecting, and mineral photography. My email is travis.olds@wsu.edu.